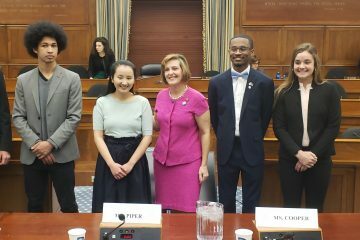 What’s it like to be a Defend Our Future Intern? Let some interns tell you. I can distinctly remember, growing up, looking at pictures of polar bears isolated on melting ice caps and thick black smoke curling up out of smokestacks and being hit with the feelings of anger and passion that heats your stomach. I remember hearing adults talk about George Bush and Al Gore and being too young to understand the significance of these conversations. I remember witnessing people throwing around the term “global warming” while driving around in Hummers. From an early age, I knew I wanted to fight climate change – to make a difference in the world. More so, I wanted to help others – and what better way to help others than by ensuring that they have a healthy and sustainable environment to live in? You don’t have to be an environmental studies major to care about climate change. You don’t have to make it your life’s mission to recycle every piece of plastic. You don’t even have to be passionate about climate change to show that you care. And I think deep down, most millennials care, because we recognize that we will be left with a dying planet if we don’t act. Unfortunately, there are still people who aren’t aware of climate change and its devastating effects on our home. That’s why I joined Defend Our Future. We not only ask people to pledge to call their senators and advocate for change, but we educate them along the way. We are making a real difference, and I love leaving each shift knowing that I encouraged at least one person to think about climate change. I also love that Defend Our Future is a non-partisan organization, because climate change is a non-partisan issue. We are all in this together. As a student at Ohio State University, one of the largest universities in the country, I recognize the importance of both diversity and unity. I love the fact that Defend Our Future respects people regardless of political affiliation and aims to find solutions to the challenges that affect all of us. As an intern, I continue to develop important life skills such as time management and communication. Equally important, I have met so many amazing people who continue to impress me with their work ethic and passion. Defend Our Future has given me both an outlet for my passion as well as practice with a professional experience that I will cherish for many years to come. If you have even the slightest interest in fighting climate change and making a difference in the world, an internship with Defend Our Future is the perfect opportunity for you. 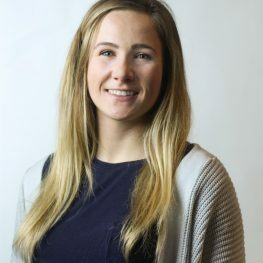 My name is Jordan Smoot and I am a second-year student studying Political Science and Environment, Economy, Development and Sustainability (EEDS) at Ohio State University. In the Fall of 2016, I was walking across campus with my headphones on and my head down. I was doing my best to avoid the onslaught of canvassers in my path, when a single word on a clipboard caught my eye: climate. I yanked my headphones out as a Defend Our Future organizer walked in my direction and engaged me in a conversation about “voting for climate.” I never knew that getting involved with an organization like Defend Our Future could be so simple. From that moment forward, I was hooked on fighting for action on climate change. As 2017 rolled around, I applied to be a Spring Intern with Defend Our Future (an experience I would recommend to any passionate environmentalist). I continued to engage my peers around campus as I had as a volunteer, but this time with even more depth. 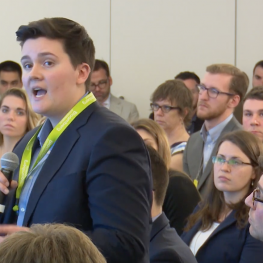 In March, I was given the opportunity to travel to Washington D.C. with my colleague Andrew to participate in a town hall on the future of policy. While in D.C., we also educated our elected representatives and built relationships with other climate change fighters of our generation. Following the D.C. trip, I and my Defend Our Future colleagues worked with Reaching Out for Animal Rights to hold a vegan dinner event that focused on the impact of food choices on our climate. The event attracted over 100 people from across campus and was a major success! 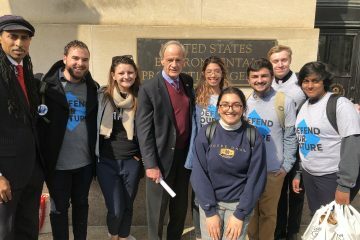 My experience with Defend Our Future last fall and this spring has helped me develop as a student, a young professional and as a person dedicated to fighting climate change. Going forward, I hope to remain involved with Defend Our Future and I highly recommend that other students dedicate some of their time to interning with Defend Our Future. 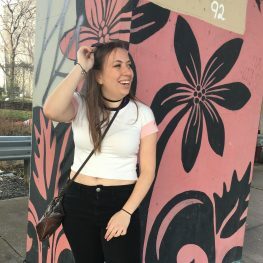 I am a freshman studying Computer and Information Science at Ohio State University. I became impassioned about climate change after watching the documentary, Burning The Future: Coal In America, in my peace studies class at the beginning of the spring semester. Before watching the documentary, I considered myself a casual advocate for the sustainability movement who recycled here and there. The urgency of climate change never hit me because whenever I heard about climate change, it was very scientific and I never could empathize or envision how it impacted my everyday life. As a big social justice advocate, I have always believed that there were other important issues pertaining to my life ahead of climate change, but now I realize that pushing for social justice reforms while neglecting the climate change movement is like walking on a drawbridge that is burning on the opposite side. If we do not start caring more about the Earth, there will not be a future for our kids to enjoy the social equity and progress we are fighting for now. That is why I decided to become a Defend Our Future intern. I first encountered Defend Our Future last September on campus during the presidential campaign season. I was one of the many students who signed a pledge to commit to vote for climate on November 8th, and stayed engaged with the organization through the end of the semester. In the weeks following the election, I started to feel as though I needed to get involved in something that would allow me to take direct action against climate change, and protect the progress we have made in preserving the Earth. So, I applied for an internship with Defend Our Future, and am now on the executive board of our student organization. 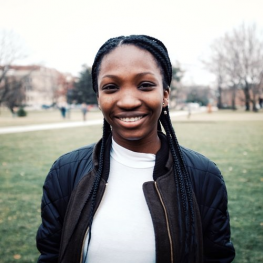 I am an environmental studies student at Temple University, and I strongly believe that political engagement by young people is vital to making meaningful change. I have worked on political campaigns in the past, and I have seen how capable young people are in leading powerful movements. Working with Defend Our Future to train the next generation of environmental activists at my university has been incredibly rewarding and encouraging, as I get to see my peers becoming engaged and educated on environmental issues and participating in the political process. 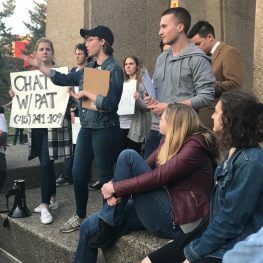 Most of our direct-action work since the election has been asking our fellow students to call their senators’ offices to share their thoughts on important issues. We worked to block the confirmation of Scott Pruitt, a climate change denier, to head the Environmental Protection Agency, and we are working against the EPA budget cuts now. But I had the opportunity to travel to Washington, D.C. on behalf of Defend Our Future to meet with representatives on the Hill and participate in a bipartisan town hall on the future of climate policy. Being able to interact directly as an organization and as a constituent with my elected officials is an incredible and powerful experience. I personally know many students who believe that climate change is the most important issue facing our country today, and it is time for those students to stand up and fight for change. 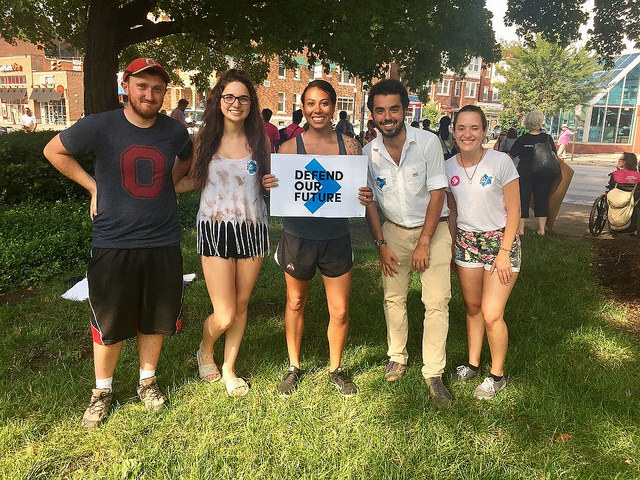 Being a Defend Our Future intern is not only a fun experience, but also an empowering way to help people come together to make progress for the environment and participate in the political process. I could not be more grateful for the time I have spent working with Defend Our Future. It’s a typical Tuesday at Temple University, with Defend Our Future interns out tabling an asking their peers to pledge to call their senators. The sun is beating down, I’m wearing a tank top, and it isn’t even spring yet. February in Philadelphia hit 70 degrees, and that’s no joke. Interning with Defend Our Future is one of the most rewarding experiences I’ve had so far as a Temple student. The welfare of the environment is one of the most pressing issues of our time, with a remarkable 80% of millennials believing that climate change is a serious and pressing problem today (ABC News/Washington Post, 2015). 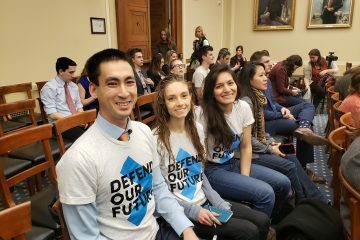 Engaging these people in climate action is a huge step towards enacting real change in our world, and being a part of that action is what makes being a Defend Our Future intern so amazing. Engaging students and campus organizations is major aspect of the work we do at Defend Our Future. For example, we hosted a Pipeline 101 event on Temple’s campus, where panelists from various fields discussed the scientific and social implications of the Keystone XL and Dakota Access pipelines. Students from various majors attended, and so much knowledge was shared about the disastrous effects of these pipelines on local ecosystems, different communities, and the environment as a whole. Knowing that I was a part of a movement that is educating people on major issues like this is extremely rewarding, and having the opportunity to learn so much from people of many backgrounds makes being a part of Defend Our Future so unique. In addition to the satisfaction felt by making a difference on this planet, Defend Our Future has introduced me to some of the most wonderful people I have ever known. Every intern and volunteer is incredibly passionate about making a positive impact in the world, and works tirelessly to make sure that Defend Our Future is a huge success at Temple. Each person genuinely enjoys being in each other’s company, and I have made friends for life by joining this amazing organization. I encourage anyone who feels as though the environment is not being prioritized as it should be today to sign up to be an intern with Defend Our Future. Not only will you know that are part of a movement that will work vigorously to combat climate change, but you’ll make some amazing friends along the way.